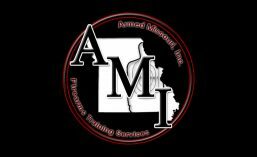 AMI Exclusive Courses | Armed Missouri, Inc.
We are happy to offer you the following courses which have been developed through our years of experience and knowledge. Meets or exceeds the state mandated training criteria for obtaining a permit to carry a firearm in Missouri as well as several other states. All inclusive. The price includes our exclusive professionally printed student handbook, ammunition, and the use of our centerfire handguns. Thoroughly covers Missouri law regarding ownership, use, and carrying of a firearm as well as self-defense law. This is essential information for anyone that keeps a gun for self-defense in their home or their vehicle. Designed for the individual interested in developing defensive pistol shooting skills and techniques. Ideal for the armed individual that carries a gun regularly. No prerequisites. Open to individuals of all skill levels. Perfect for the beginner that needs some extra instruction on gun handling skills, particularly those used in defensive pistol shooting. Perfect for those interested in obtaining training in a one-on-one environment. Can also be used to accommodate groups of four or less. You run the show. Private training can be tailored to your specific needs.